kuyakarl, 28 May 2018best music dedicated ! still use this til now as music player stock rom 2.3 gingerbread bcoz... moreBut keep in mind you can only use up to 32GB memory cards. bcoz i think OS has the best equalizer /mixture of audio quality.. Cool name for a not-so cool phone. Bought it within a week of its release in 2011. Phone is still alive and going. May be the best Android phone that ever made. I have owned a Sony Ericsson Walkman since 2011 and it is still working fine however I now need a screen replacement. This is the model, if you have an exact one like this please let me know through this forum and we can negotiate. I had this phone. used 4 yrs. anyone have this phone.? running out of internal storage? I still have this phone. Almost 6 years old and running nougat. Miss the old days. Sony ericsson is a legend just like nokia. Joemskie, 11 Sep 2016I bought this phone last november 2011 and im still using it until now. this phone is so cool.... moredo you ever own the late model of sony ericsson such as the w series and the cybershot series ? ohh i miss them so much ! I have a WT 19i Sony Walkman and I'm looking for a screen to replace my cracked one, how do I get one. I like sony walkman. 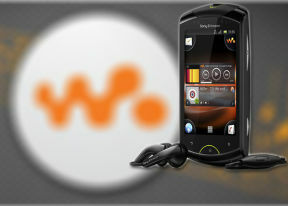 Total of 12510 user reviews and opinions for Sony Ericsson Live with Walkman.